When I was younger, I never thought I would one day start a healthier diet. I guess when you grow older, you will realize how important it is to eat healthy. Oat has been shown to lower blood cholesterol which may reduce the risk of (coronary) heart disease; whereby soluble fiber helps to lower blood glucose (not consuming together with other food). 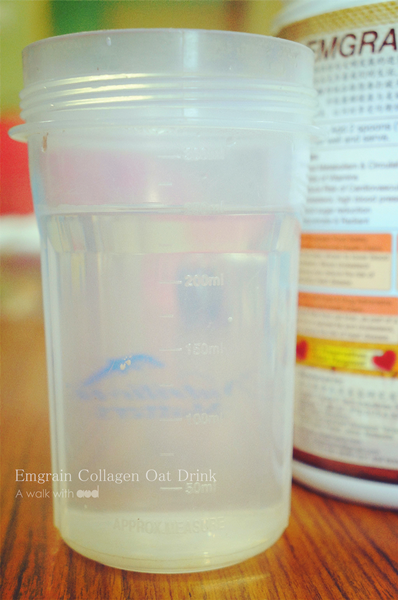 Although I have been having overnight oat or adding a scoop or two of oats into my milo as breakfast but sometimes I feel it is too thick for my preference until I found this new oat collagen drink. 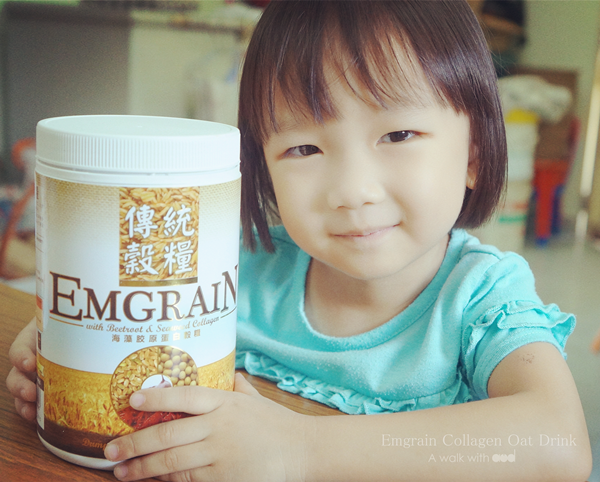 Emgrain with beetroot and seaweed collagen contains oat bran powder, oat powder, beetroot, brown rice, soya lecithin, calcium, aquamin S, vitamin B1,B2, B3,B5,B6 and B12. 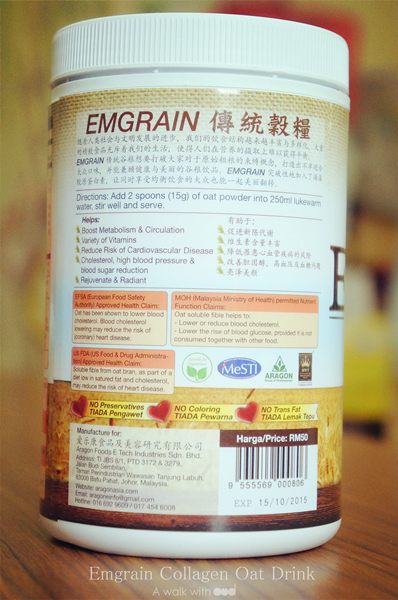 All nutritions in one bottle. Good right? 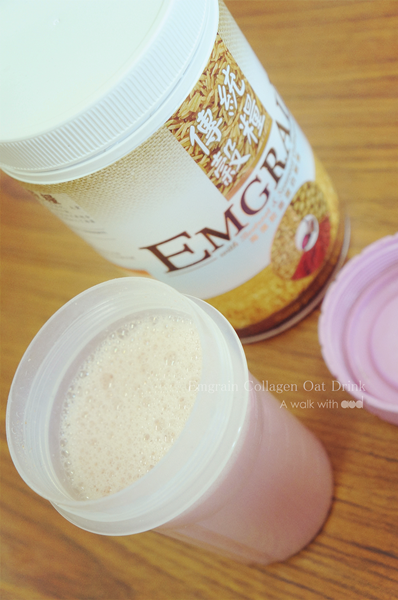 One bottle of Emgrain Collagen Oat drink can last for 2-3 weeks. I always drink it for breakfast because it is kinda filling. 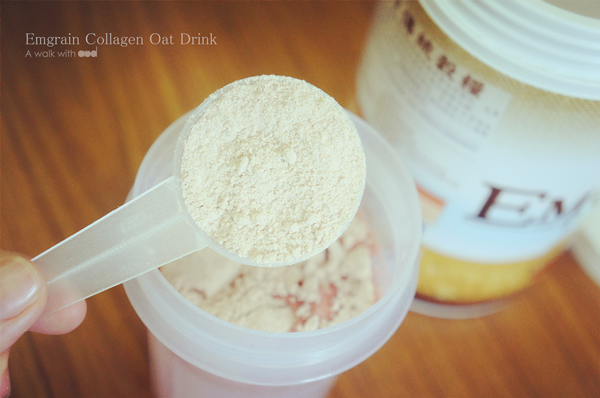 Add 2 spoons (15g) of oat powder into 250ml lukewarm water, shake well and serve. 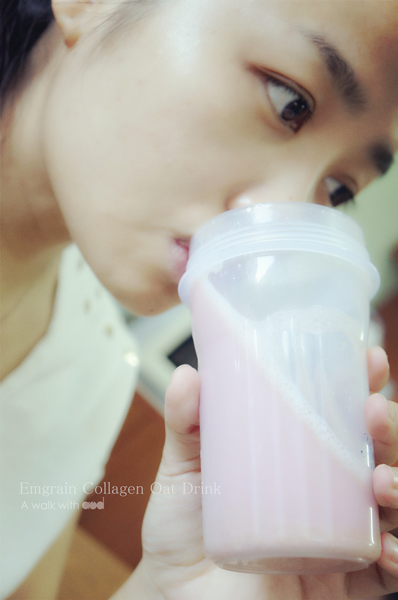 I prefer to shake because it is better mixed compared to stirring. Benefits of this oat drink? 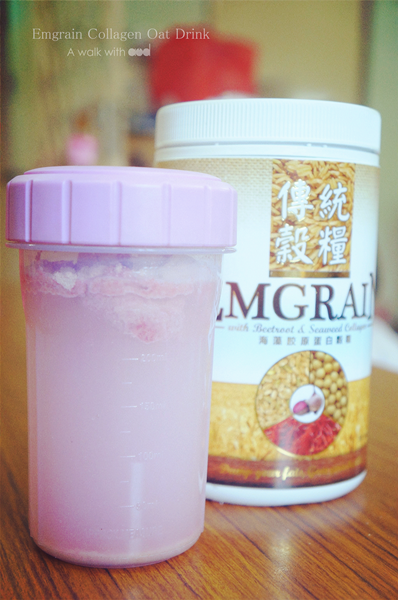 It is pale pink in color, sweet isn't it? Well, it is sweet because of beetroot. 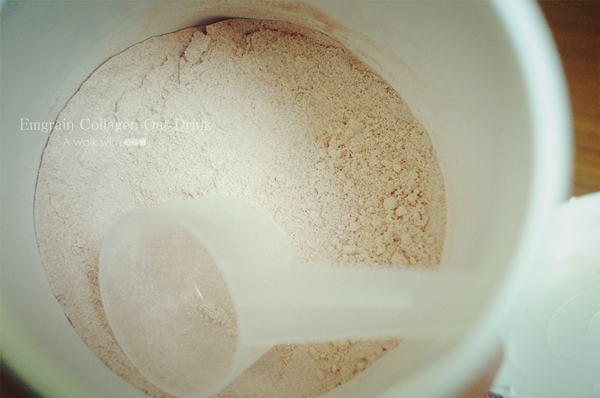 The amount per serving is 25g, calories is 101 kcal and calorie from fat is 19 kcal. It has no preservatives, no coloring and no trans fat. It is approved by KMM. 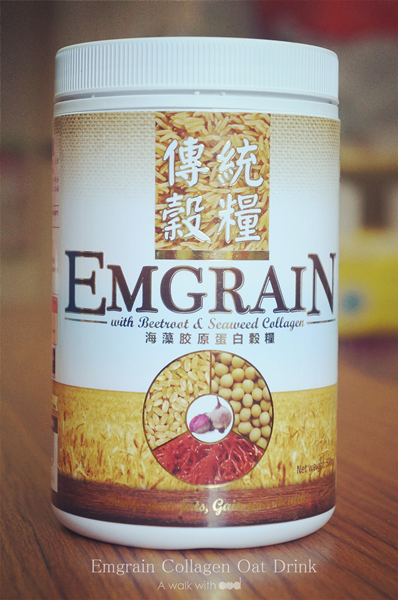 You can get it by Johor Bahru pharmacies at RM 50 for 500g. Honestly, this oat drink changed my perspective towards an oat drink. Healthy food doesn't has to be tasteless and boring. This oat drink is just yummy! Even the kids love it! Start adopting healthy diet now so you don't regret when you aged. Stay healthy, stay happy!